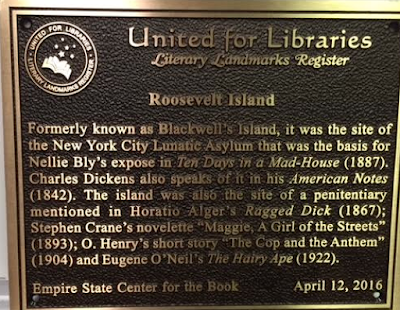 recognizing the Roosevelt Island New York Public Library branch as a Literary Landmark. Here's what happened at the ceremony. Part 1. Christopher Platt, Vice President Of NYPL Library Services, and a Roosevelt Island resident, introduced the Literary Landmark ceremony and congratulated the excellent staff at the Roosevelt Island branch library. Part 2. Rocco Staino, Director of the Empire State Center For The Book described the Literary Landmark program. 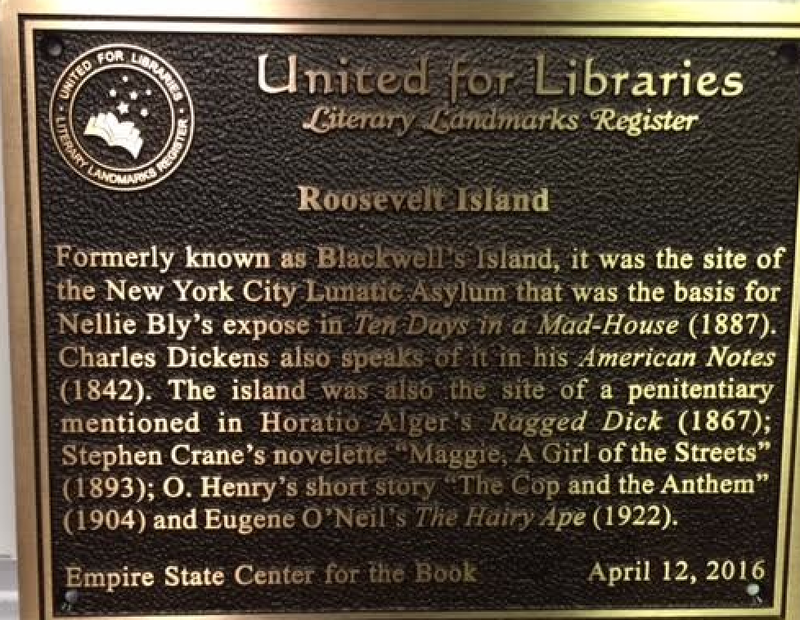 Mr Staino said that the Roosevelt Island library is the 17th Literary Landmark in NY State and 2 other Literary Landmarks are in our NYC Council District 5 - Carl Schurz Park for Harriet The Spy and Yorkville Community School for the children's book The House On East 88th Street. Part 3. Roosevelt Island's NYC Council Member Ben Kallos remembers reading Harriet The Spy and encourages people to read. 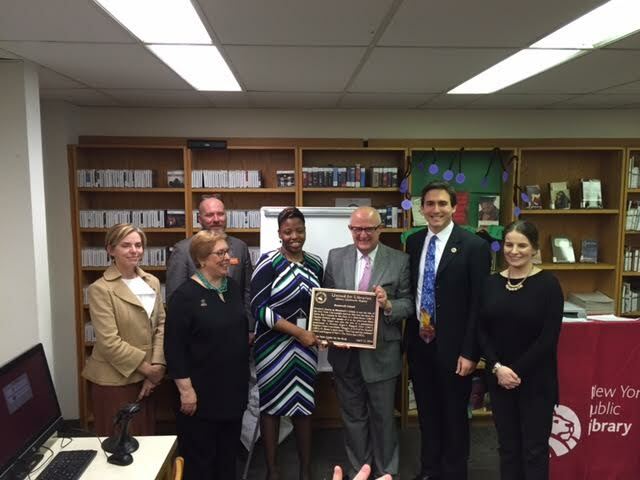 Mr. Kallos provided $5 Thousand in member item funding for the Roosevelt Island Literary Landmark plaque. Part 4. NYPL's Christopher Platt reads a Proclamation from US Senator Kristin Gillibrand commemorating Roosevelt Island Library as a Literary Landmark. Assembly Member Rebecca Seawright's Chief of Staff Katerina Matic congratulates Roosevelt Island NYPL branch staff on being named a Literary Landmark and reads a proclamation from Ms. Seawright. Part 5. 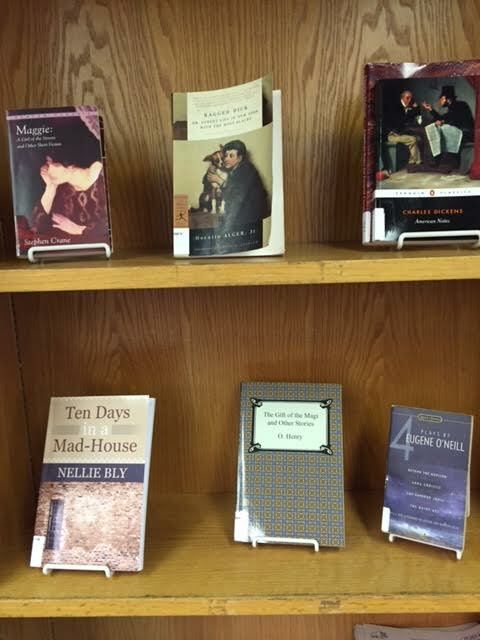 NY Historical Society representative Liz Stern spoke about journalist Nelly Bly, author of 10 Days In A Madhouse, one of the books cited for Roosevelt Island's Literary Landmark award. Roosevelt Island Historical Society President Judy Berdy gives a historical perspective on Roosevelt island literature. Congrats to the Roosevelt Island New York Public Library Branch.